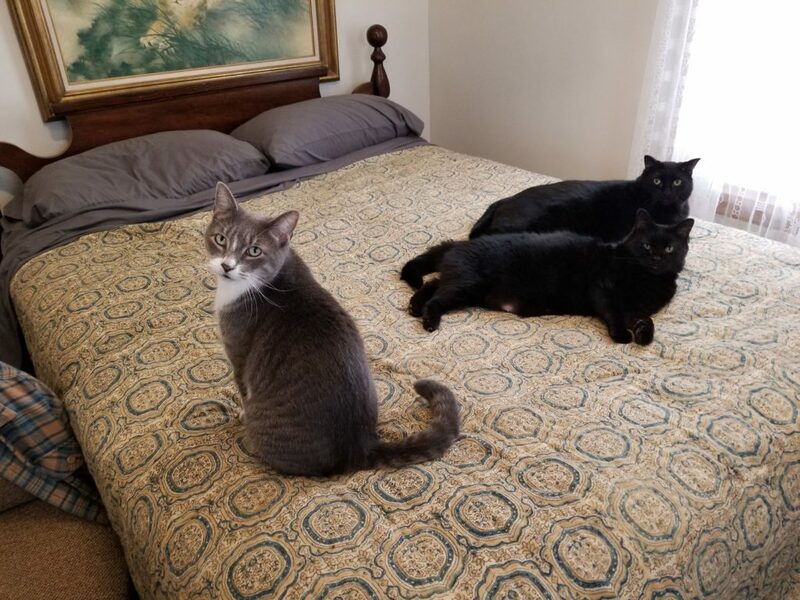 My house cats love to lay on my bed and look out of my window at the birds in the trees and bushes. They sort through their toy box everyday to pick out a cat toy to toss and throw around in the air. Conrad’s favorite toy is a singing bird cat toy at the moment. He absolutely loves tossing it in the air again and again. 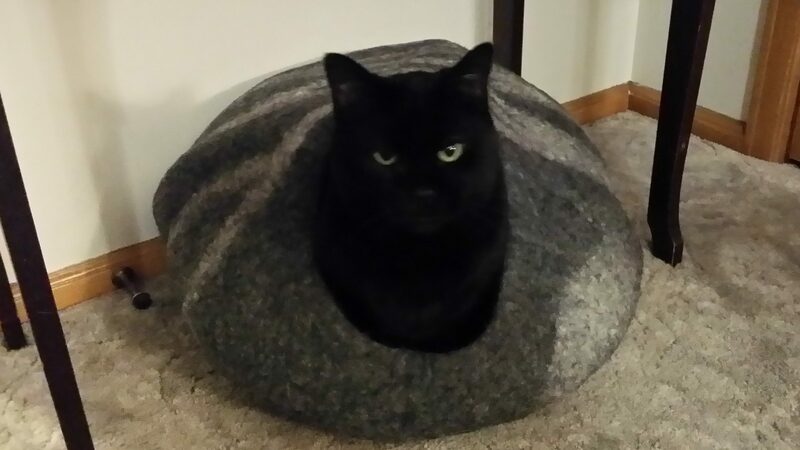 My cats love to lay in their Meowfia cat bed from Chewy.Com. 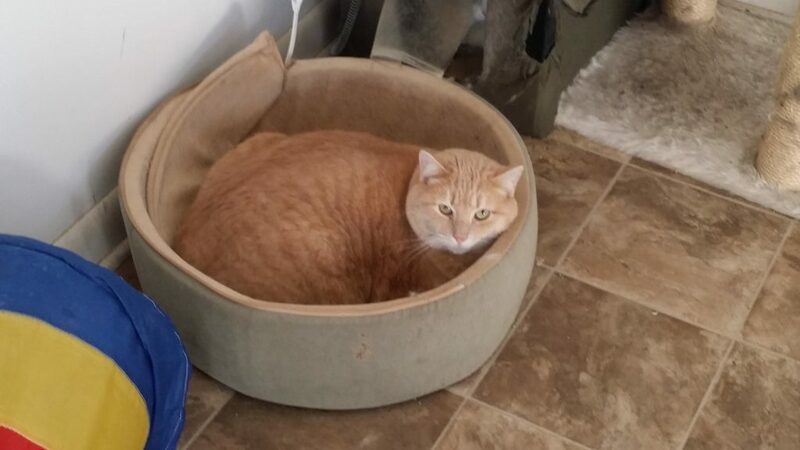 They also love their Serta cat bed with a plush and cushioned bed for your older or arthritic cat. They love their heated K & H cat beds that I have purchased from Chewy.Com. My cats in the house next door love their large heated enclosed K & H beds and the heated windowsill beds. I have some cat beds that recirculate your cats own body heat. Several of my cats next door like those. I have a large Stainless Steel heated water bowl for my cats next door to drink out of made by Allied Industries Inc. They are easy to clean and your cat always has water available to drink. I have used my heated water bowl for four years now and it still works perfectly fine. 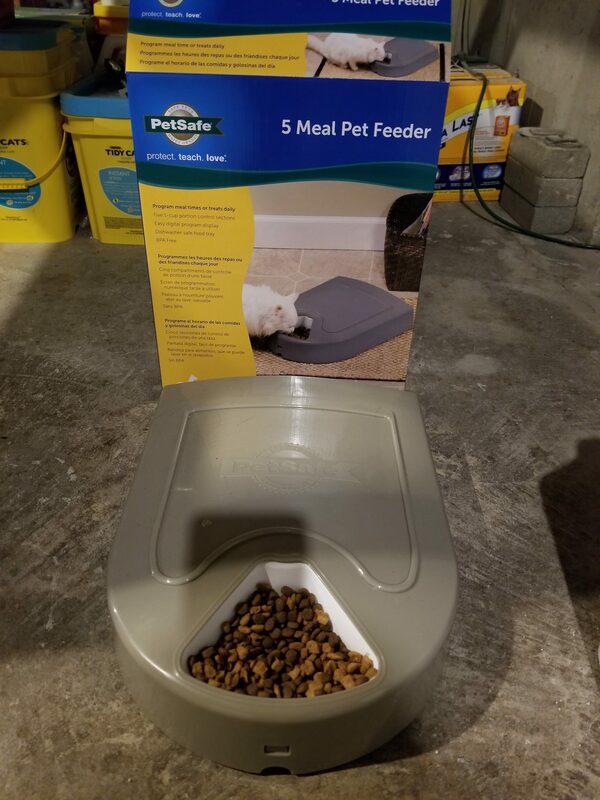 I love my automatic pet feeders as they are easy to use and your cat always has plenty of tasty food at their disposal. Chewy.com handles automatic pet feeders for your cat or dog. I have several bird feeders by my picture window. Put out a large variety of different mixtures of bird seed to attract a large variety of birds. I also put out suet or suet balls from my local grocery store as suet attract the woodpeckers. 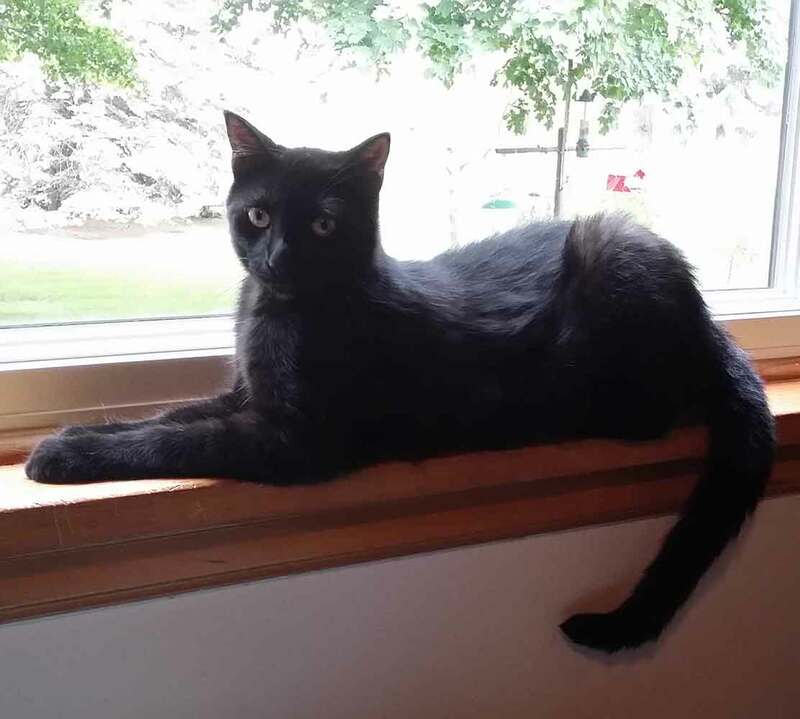 My cats watch the following birds : sparrows, blue jays, black birds, chickadees, house finches, cardinals, gold finches, starlings, crows and woodpeckers. 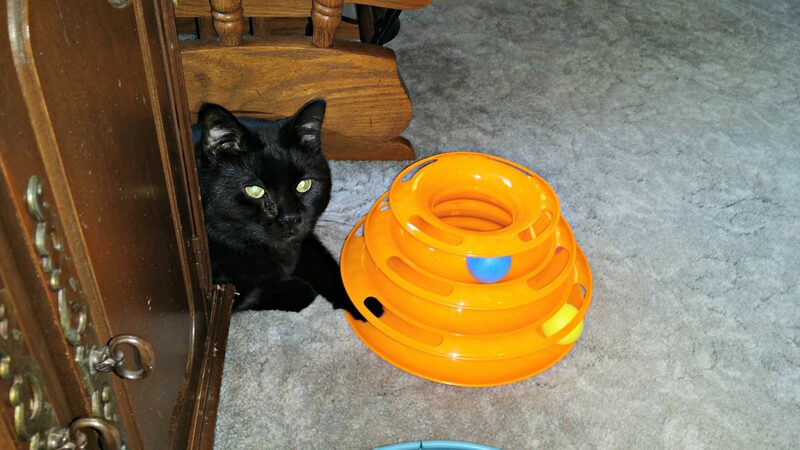 My cats love to play with their circle toys with a ball that they bat around with their paws. They throw their catnip mice around and toss them up in the air. 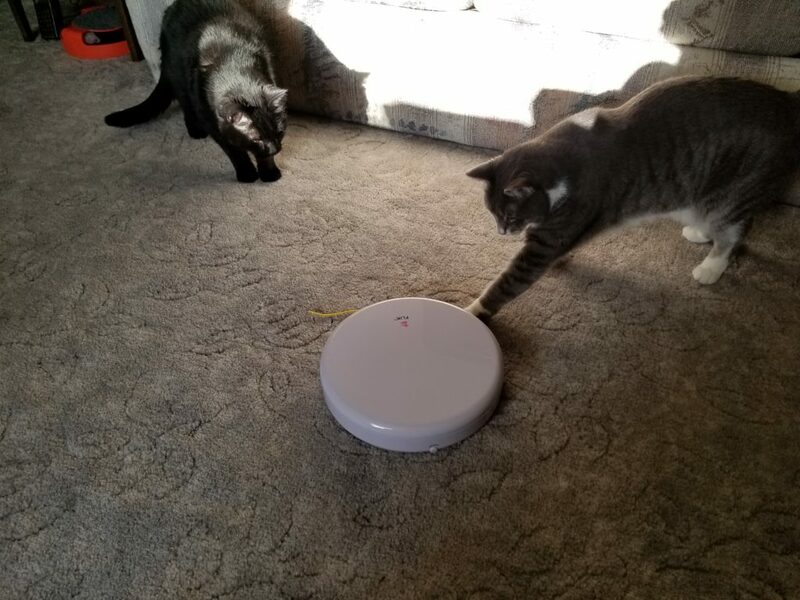 My house cats love to play with a toy that throws out a string called Flik made by the Pet Safe Co. They love the mice cat toys that sound like a live mouse and the bird toys that sing like a living bird. They love to get their cat treats out of the cat treat dispensers. I have purchased some cat treats and dispensers from Chewy.Com. They love it when I swing a stick with a fish attached to the end of it up in the air as they try to grab it. 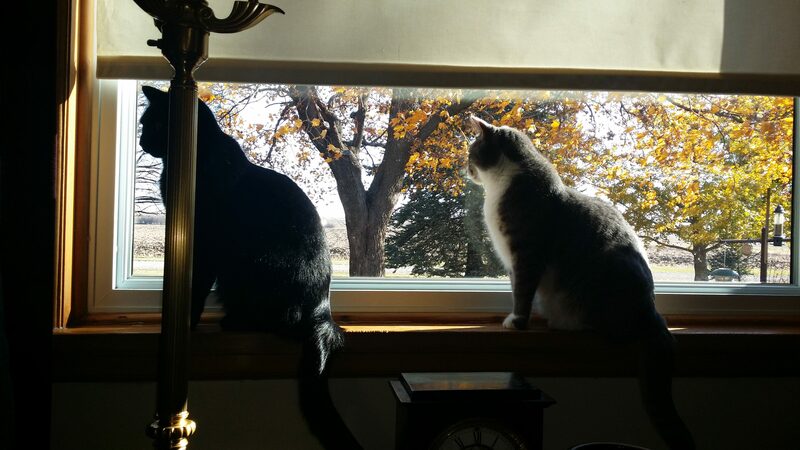 My cats enjoy their winter months and I hope your cats do too.